With SAP Jam we set out to change how people collaborate in the enterprise world to drive their business results. Since then, the idea of a collaboration platform that integrates into all the important business processes of your enterprise is what has been driving our thinking and our priorities. In other words, for a collaboration tool to become meaningful and impactful in the business world, it needs to be embedded and integrated as much as possible into the customer’s entire IT system landscape. Therefore SAP Jam integrates into and with a wide variety of SAP business applications, content management systems, as well as third-party applications. To also support integrations that aren’t pre-built, SAP Jam’s flexible and easy extensibility allows customers to also integrate it with any additional system, either directly or using the SAP Cloud Platform. In this blog I’d like to explore some of these integrations and introduce a few available extensibility options. Probably the most important type of integration of SAP Jam is with enterprise business applications. On the one hand, it allows to start a collaborative process whenever you need it right from within your business application, on the other hand it brings the required business application data into the collaboration environment to always have the latest data visible and available. Integrations exist with a number of SAP products, such as SAP’s on-premise CRM, or ERP solutions, or with cloud products such as SAP Hybris Sales Cloud and Service Cloud, SuccessFactors, or SAP S/4HANA (https://help.sap.com/viewer/u_admin_help/48500ff82bf54b05a607b63b2156f9c3.html). 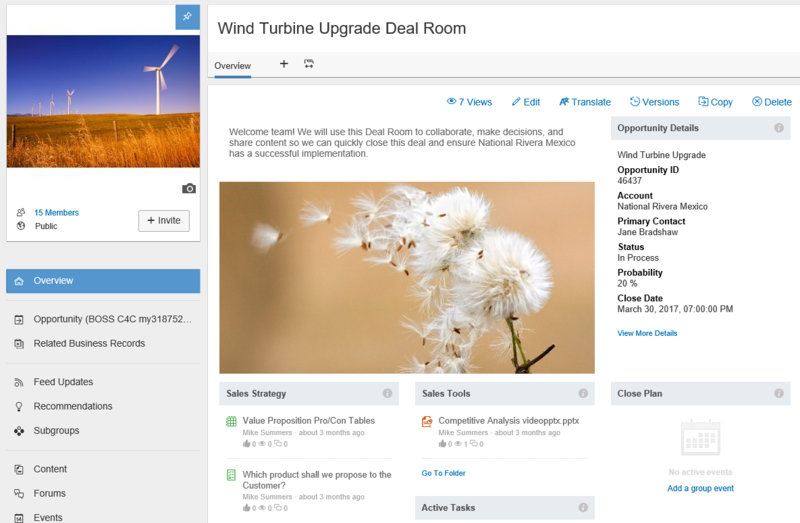 As an example: A sales rep who’s working on an opportunity in SAP Hybris Sales Cloud can now pull together a team of colleagues right from within the opportunity, create a deal room in SAP Jam and collaborate with his colleagues on a win-plan to sign the deal with the customer. All users are kept up to date either within the Sales Cloud UI, or in the SAP Jam UI, for example if they are from other departments such as legal or finance and don’t have access Sales Cloud. At the same time they are all using the same SAP Jam instance to join LMS learning courses and programs right from within SAP Jam and share their knowledge in communities of practice. You see, SAP Jam becomes a true global collaboration hub for the entire organization. One aspect of collaboration is to share and work together on documents. Of course collaboration works best if files and documents are natively where you collaborate. But let’s face it: Every organization has multiple places where documents are stored, either in on-premise or in cloud solutions. Although a migration of some of these repositories to SAP Jam is recommended, also to save additional operational or licensing costs, there might be occasions where you simple can’t or don’t want to replace an existing repository all at once with SAP Jam. Therefore it’s possible to expose files from quite a few content management systems to SAP Jam, browse the repositories and bring selected folders and files into the required collaboration groups. Our existing integrations with groupware applications fulfill multiple requirements. The integration with Microsoft Outlook allows the user to take important text or attachments out of an email and post it directly into a selected SAP Jam group for further collaboration. While this can eliminate the need for long running and confusing email chains by moving the discussion into a better suited environment, it also allows to share specific information with a broader group of people who might not have been part of the email conversation before. SAP Jam also integrates with Microsoft Office products, allowing to use the most commonly used applications for document editing and seeing the conversation that happened on the document in SAP Jam right embedded into Microsoft Excel, Word, or Powerpoint. And lastly, there’s the SAP Jam file sync client. It’s ability to sync files from selected groups to your desktop makes these files available offline on your computer, and at the same time allows for super simple file upload. Customers have a very diverse IT system landscape they need to integrate with, and sometimes they also have requirements that are very specific to them and therefore not part of the standard product. In this case it’s important that the solution can be extended in a flexible way. You can basically do everything you can on the UI also via the OData APIs, such as extracting information or posting information to SAP Jam. Kind of a special variation of APIs are the push notifications in the way of webhooks. These allow an external application to automatically be notified when certain things are happening in SAP Jam. Based on these push notifications the external application can then react and for example post something back to SAP Jam using the available OData APIs. I’ll write a dedicated blog post about one specific scenario making use of webhooks at a later time. So stay tuned on that! Although not a real extension at first sight, the branding capabilities are important to mention because they allow to seamlessly fit SAP Jam into an existing intranet or application landscape, and therefore support an immediate and sustainable user adoption. Technically these widgets need to be wrapped into an OpenSocial gadget. This allows the gadget to understand for example the logged-in user and the context of where it’s used. 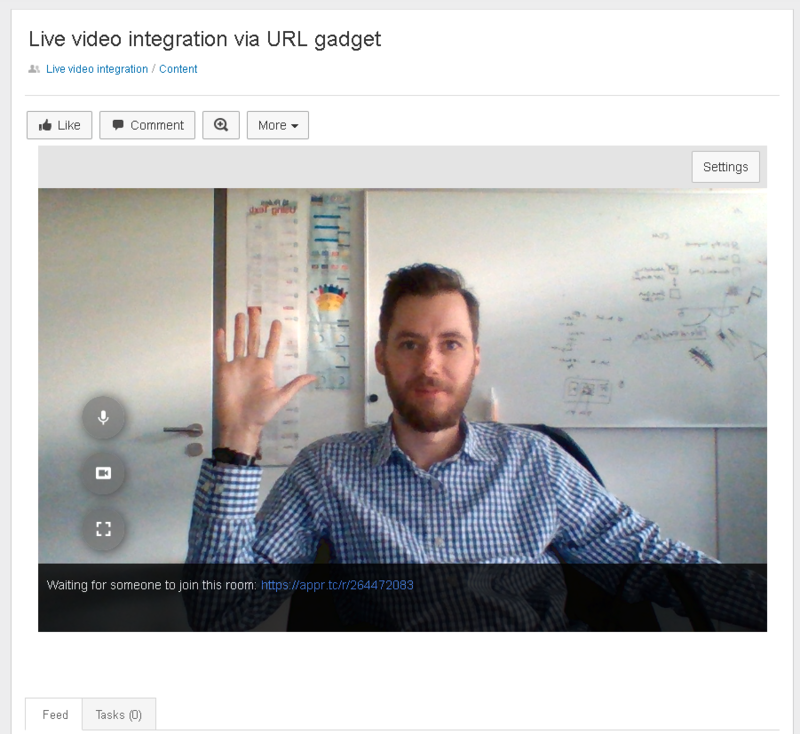 You can collaborate on OpenSocial gadgets in the same way as on any other content items. So for example, you can embed a complex survey tool instead of using the native polls feature. To make it even simpler, SAP Jam also has a “URL Gadget” that allows to embed any website that allows to be embedded. Via the URL gadget you can for example embed your own apps built with the SAP Cloud Platform Web IDE, just by pasting the link into the SAP Jam UI. Into which business processes or applications have you integrated SAP Jam already? What integrations are you missing? How did you extend SAP Jam?